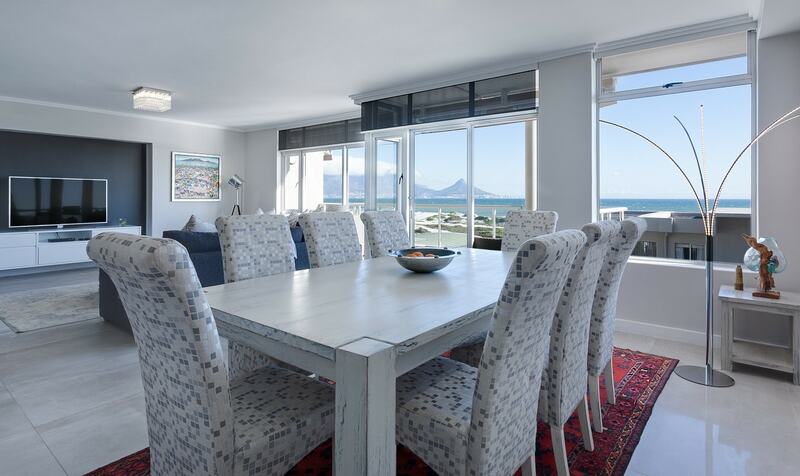 Living rooms and dining rooms are the spaces we use to gather with family and friends. From the simple family dinners to the movie night get together the two rooms are often used together. 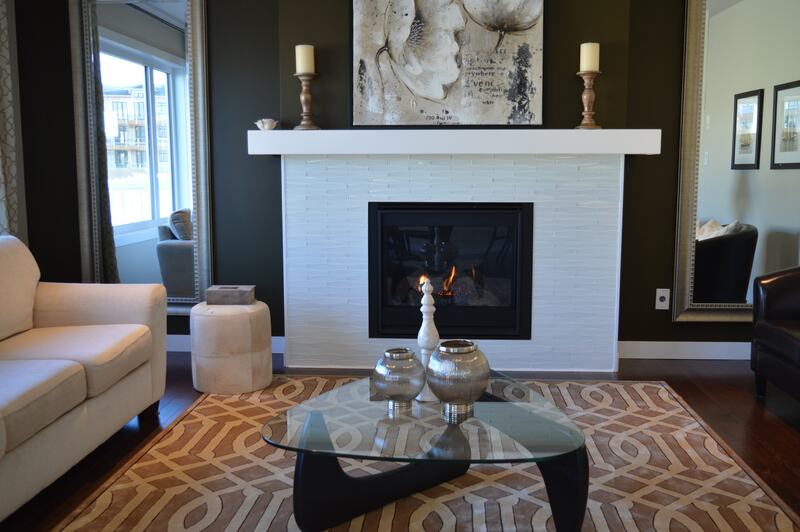 We create the perfect spaces to enjoy a comfortable home atmosphere. They tend to showcase the décor of the entire home. The paint colours we tend to choose for living rooms and or dining rooms have much to do with our personalities. Although a lot of daily activities happen in each of these rooms the frequency of how often they should be painted will vary, although the 5 to 7 year time frame is common with homeowners. 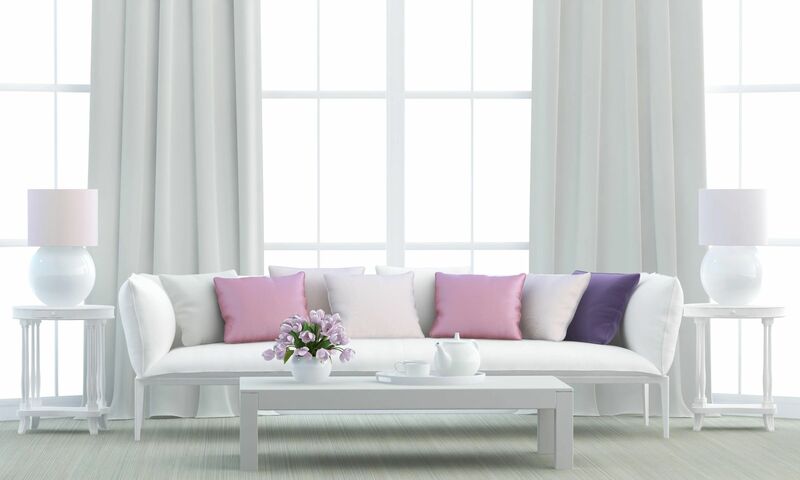 When deciding on colours to paint the living room , most homeowners tend to choose modern popular colours that will create the perfect home and family atmosphere. It’s a balancing act between the dark and neutral paint colours that can become overwhelming. If the committment to painting a dark colour in any room creates difficulties for you then you can always try painting just one wall . It creates a new look to your space without committing to the darker colour in the entire room. Create the perfect balance between the dining room and living room by using the same paint colour throughout. It provides that look of a larger area and makes the entire open concept space. The paint tends to last in these room even though they are used often. The furniture, the drapes or window treatments, floor lamps, plants can all be used as buffers to keep the walls from being touched, scratched or scuffed up in any way. If you use the better paint products and ensure the proper prep work is done, such as patching or repairing the drywall the paint on the walls will last a long time. 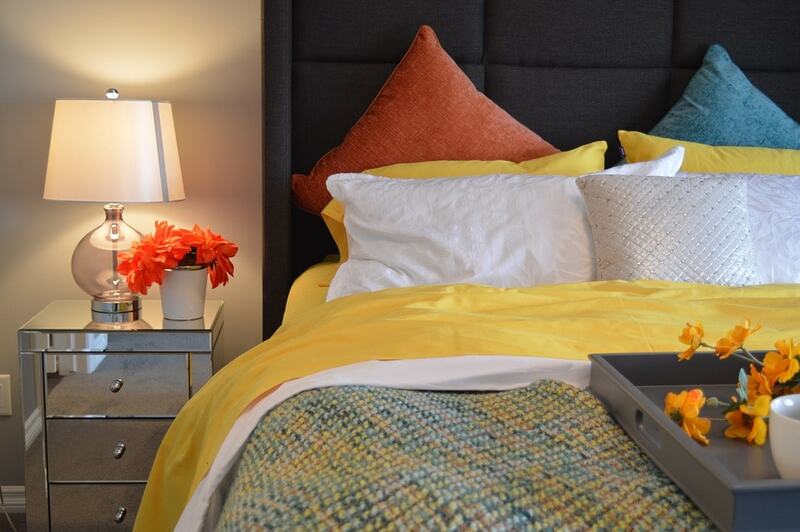 Every room in the house deserves that perfect choice of colour. From the front entrance hallway to the bedroom, and every room in between. If you need to hire a painter to help with your project make sure you know who you are hiring. Always visit the website of a painting company near you , read online reviews to help you make that decision when getting a painting estimate. It’s the sanctuary after a long day of work, running around with activities, and busy schedules. Our bedrooms are the last spot we lay at the end of a long day. We recharge our batteries with some quite time with a good book and we hope for a good nights sleep. Bedrooms are the rooms that don’t require to be painted often. They don’t take the same wear and tear let’s say as the entrance. For that reason picking a paint colour for the bedroom is a decision that you can make knowing you may not be changing it for several years. Although it is obvious that the bedroom of a child or tweenager requires different intervals to the frequency of how often they are painted. The why is simple. It’s usually because we welcome the baby home with a neutral paint colour and as they become toddlers and then tweenagers ours and their tastes for the different colours change and a lot of it has to do with their personality. The frequency of how often the bedroom should be painted is less than most other rooms in the home. Most rooms like the kitchen, bathrooms and main family room areas are more likely to be painted every 3 to 5 year intervals. Not only for the simple reason that they take on more wear and tear but sometimes we just change our mind on the decor and painting a new fresh colour gives us the best and most economical way to update it. Whatever your reasons for deciding to paint a room in your house or condo we hope you will visit our website and contact us to schedule your next painting service with us. Welcome is the first thought that comes to mind when you step into the entrance of your home. 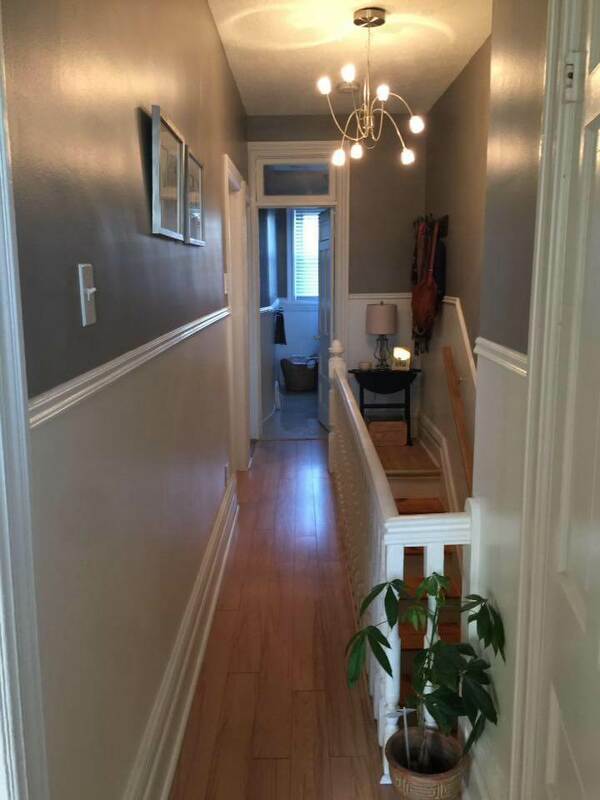 The hallways and corridors that make up the main entrance to a house or condo is the first place we welcome family and friends, and walk into and out of each day as we come and go from our hectic busy daily lives. The walls in our home’s entrance see the most wear and tear. These walls get the brunt end of thrown school bags, flipped boots or shoes and tossed sports bags. They are the main point of entry to any home or condo and most often times are ignored when it comes to good home maintenance. From scuff marks or finger marks to dents and holes these walls could tell the stories. Sometimes the damage caused to the walls is a simple repair or patching of the drywall and a repaint, other times it’s a simple good scrubbing and wash with a possible paint touch up. If the damage is bigger then a complete full repainting would be recommended. When painting the front entrance you want to make sure you use the best quality paint products that can withstand the wear and tear of daily life. Make sure it’s washable and even able to withstand some scrubbing if necessary. The sheen finish you choose will make the difference between the paint fading away as you rub and wash the walls or it withstanding a little extra elbow grease. Investing in a higher quality paint that can be easily washed can be expensive when you are buying it but worth the extra it could save on redoing a full painting job. Painting the hallways, corridors and entrances are most likely to be every 2-3 years because of the continual wear and tear these particular walls get being the busiest spot to any home. If you wonder how often should you paint your house or condo, we often get called in every 3 to 5 years. Sometimes it’s just a simple update of paint colour to one room, while other times it’s a complete repainting and decorating our customers are after. Whatever your reason for deciding to paint a room in your house or condo we hope you will visit our website and contact us to schedule your next painting service with us. Homeowners wonder how often should they get any house painting done. The frequency varies. Although the interior would mostly be based on a personal choice to update the decor while the exterior is important for maintenance reasons. We are often asked what we recommend on how often the interior and or exterior painting should be done. We break it down to find out why. Sometimes it’s a simple update to change the colour to a more trending and modern look. Other times you may be noticing issues with the paint cracking or peeling, blistering bubbles or cracks. How often you paint the interior is dependent on a few of factors as listed below. Problems with paint are common and easy to fix. Ensuring the best paint adhesion is the first step to preparing the walls. Repairing and patching any holes, nail pops or cracks in the drywall before applying any paint are a key factor to ensuring a smooth application and finished look. Apart from the paint problems previously mentioned, it is normal and common for cracks to joints in the drywall or wooden baseboards and trim to occur. If you’ve recently constructed a new home, you can most certainly expect plenty of nail pops, cracks in the ceiling joints, and drywall joints as the house begins to settle over the first 5 years. They become less evident after that 5 year mark. Other than the structural issues that should be attended to when you are thinking of getting any repainting done, the other reason is simply a cosmetic one. Paint colours change all the time. Manufacturers are always coming up with new shades and hues. There’s the popular trending ones, the dark and light neutrals, and the whites that update the look to any home decor. 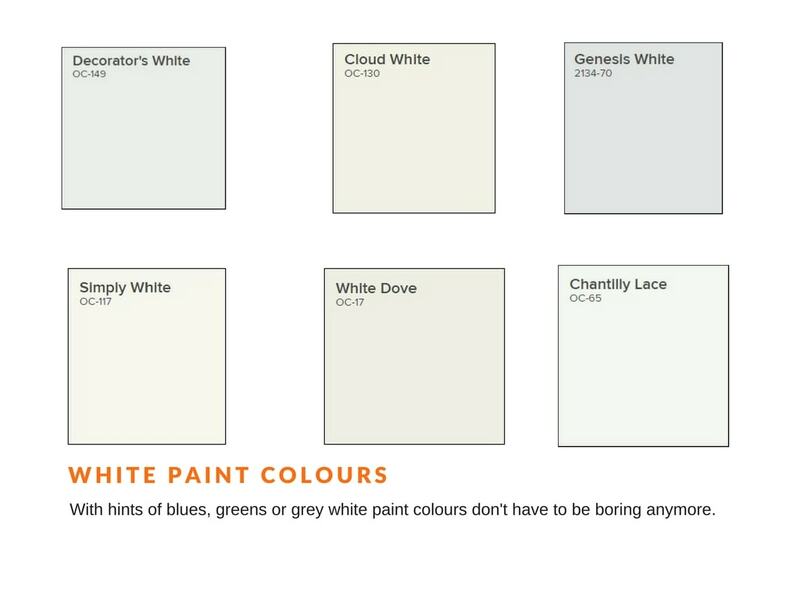 Here’s a helpful guide to help you with paint colour samples. The frequency of painting and decorating your home’s interior is a personal one after all the structural issues have been addressed. Today’s paint products are made to last. Their special formulations are created to be environmentally safe and their durability and quality is of high standards. Assuming all the proper prep-work has been done then it would just be a matter of normal wear and tear. Some rooms take more of a beating than others. Sometimes damage to the paint on the walls is easily fixed with a touch up while if the damage requires more repairs then we would recommend a complete repainting. 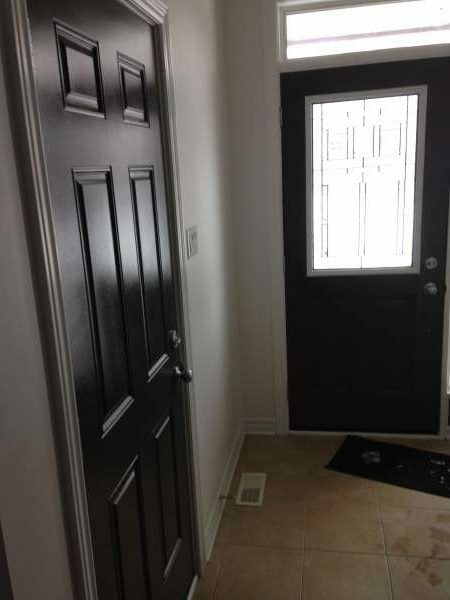 In conclusion, if your home is newly built and you notice a lot of cracks or holes from the resettling after the first 3-5 years then we would recommend to have the painting done at least after the 3 year mark from move in date. When hiring a painting company to paint the interior of your home, make sure to hire one that provides the expertise, knowledge and experience. Ensuring they provide the best interior painting services reassures you will get the perfect end result. How often painting the exterior of your house is dependent on a couple of factors. Apart from being a good maintenance practice every three to five years. It will without doubt add value to the property especially if you have decided to list in the real estate market. How often the exterior is painted depends on a couple of factors. If it’s been more than 10 years since the last time any of the exterior of your home has been painted then we would definitely recommend it be done. Sometimes problems arise like the paint starts to peel. There are reasons why paint peels and the most common one is the environment. It’s good practice each spring and every fall to go through your home’s maintenance list to make sure everything is in optimal condition. 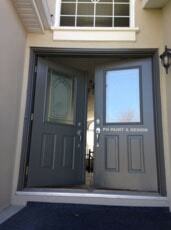 Sometimes a quick change of colour to the front door can change things up dramatically. When you are ready to hire a painting company to paint the exterior of your home make sure you hire the right one that provides all the exterior painting services for a complete and professional look that will add the curb appeal to your home’s exterior and provides quality work. The decision as to how often should I paint is to be based on good maintenance practices and great home decor. Research has it that painting the interior and or exterior of a house before selling it can help push the decision of the buyer in your favor. Research also shows that our personalities are part of the physcology of colours we choose. It’s great to change things up every few years. A new paint colour creates a fresh new atmosphere and of course it’s simple good home maintenance. Professional painters will recommend the frequency of maintaining the paint quality of your home. The have the knowledge and experience to recommend things like the right paint, estimating how much paint will be required, offer you advice on buying paint and what type of primer ,finish or sheen to be used. Knowing the simple things like how natural or artificial lighting affects the way a colour shows inside or outside of the home, along with other painting tips and advice . Professional house painters will have all the recommendations needed to make sure your home has all the TLC that makes it the envy of your neighborhood. 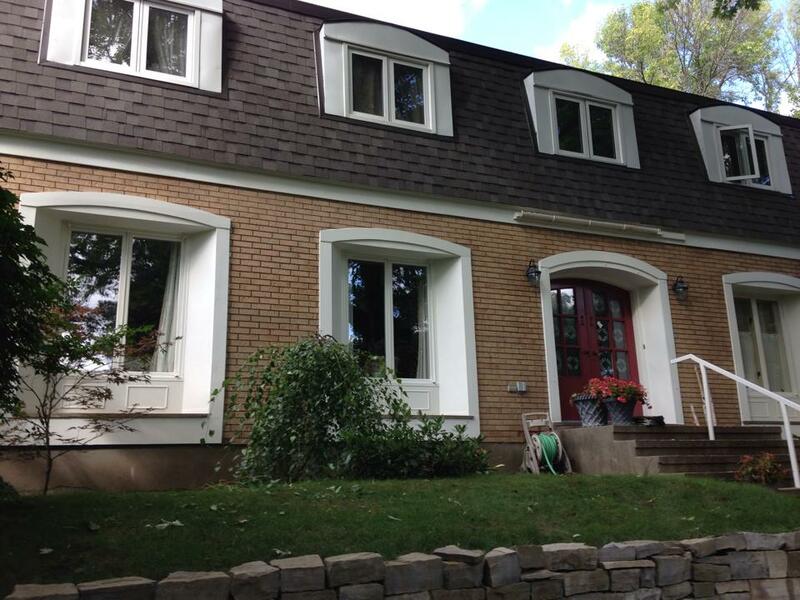 Visit our website to see the full list of painting services in the Ottawa area as well as information and how to contact us . Preparing the drywall before paint application ensures a better and longer lasting job well done. Fixing the most common drywall flaws before painting such as nail pops, cracks, corners bubbled or blistered paint and holes are the most common of patching and repair situations. We have been asked before by homeowners getting an estimate to paint their home. They wonder why we tell them we have to patch or repair the drywall first. They tell us we’ve been keeping our home in mint condition why do I need to do repairs to the drywall before painting the walls. We totally understand that homeowners take great pride in keeping their homes in great shape and condition. But inevitably repairs and patching are always required in any home. 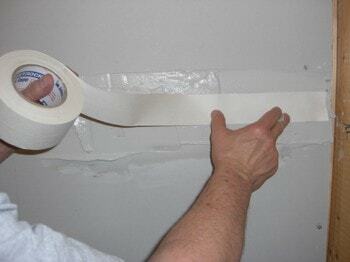 Sometimes flaws and imperfections in drywall are caused by bad taping and mudding work. Whether it was done by a professional or it was an attempt to a DIY project, it’s best to fix these before painting the walls. In time, whether it’s a few months after moving in to a newly built custom home, or if you’ve been living in a house, condo or apartment for a few years, shifting happens. Shifting occurs as the wood that was used to build the home adjusts to the different temperatures being external or internal. The homes are built at any time of year. Therefore the wood used to build the interior of the home tends to absorb a lot of the exterior elements before the house is completely built. Once built, the new drywall goes in and then the siding and roofing completes the home only then is the wood protected from the exterior weather. Over time, the wood on the interior will tend to crack and shift, it’s a natural and normal thing to happen. 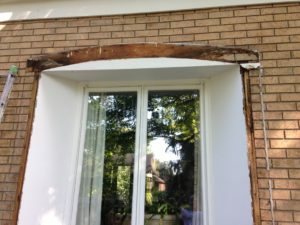 When you hear the crackling or see the cracks in the walls it’s because the wood that was used to frame the interior of the house expands and constricts as it adjusts to not being exposed to the outdoor elements any further. When you think about it, the wood that was outside absorbing rain, snow, heat, humidity and sun for days, weeks and sometimes months is now on the inside. What happens is it tends to dry up as it’s no longer exposed to the outdoor elements. As it dries, it is also adjusting to the new indoor climate. And pretty much just the everyday day to day living causes dents, scratches, holes and scuffs. You probably get the picture by now that it’s normal to hear all the crackling sounds and to see the cracks in corners of the walls or the nail pops. It is normal as everything adjusts to the new climate and environment. If you question whether the cracks are simply cosmetic or if they are a structural issue, this article from Bob Vila will help explain and clarify more. You don’t need fancy or expensive tools to get started. These interior house painting tips will help get you started and end with the professional results you are after. 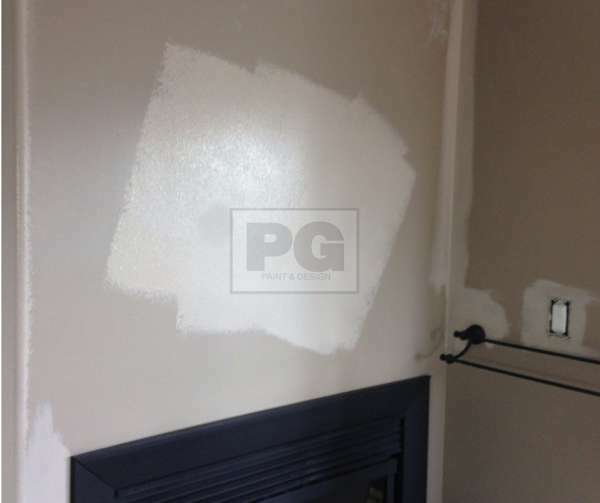 It doesn’t matter if a pro installed the drywall, and did the professional taping and mudding, or if it’s already been painted by a professional, there are no perfect walls anywhere. So let’s go through a few more tips on how to prep for painting. Find the flaws on the walls by taking a close up look. Sometimes holding a utility light (which is stronger and brighter than just a regular flashlight) will help you notice the imperfections in the drywall along the walls, corners and baseboards of any room. They are more emphasized with the bright light shining allowing you to pick and spot them a lot faster. Once you’ve found them, if it helps you can circle with a pencil or stick some painters tape so that you’ll know where they all are once you are ready to get started with repairing the drywall. 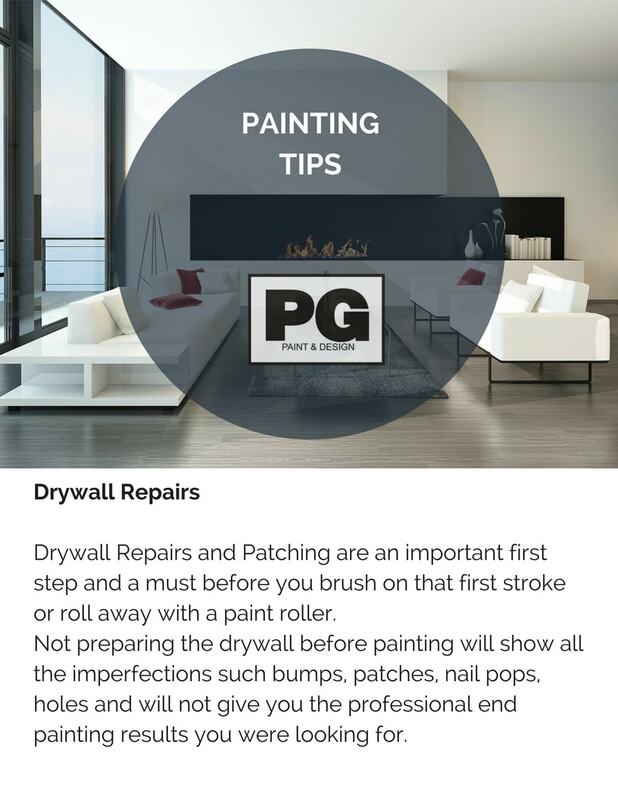 To prepare the walls for painting start with these tips on how to prepare drywall before painting. 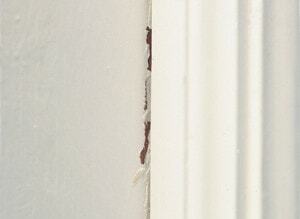 Using paintable latex caulk apply a thin bead to any cracks in the corners of the walls, ceilings and baseboards. Once you’ve squeezed the caulk over the crack, simply use a wet fingertip to smooth it out and ensure it goes all the way through the entire crack. Smoothing it out gives you a smooth finish obviously for once the paint is to be applied. There is no need to go to heavy on applying the caulk. Caulking fills the gaps and cracks and prevents them from reappearing. Patch any small holes with some drywall compound. Simply apply it to fill the small hole. Smooth it out with a putty knife. It will have to be lightly sanded before painting, but that imperfection is done with now and we move on to the next. 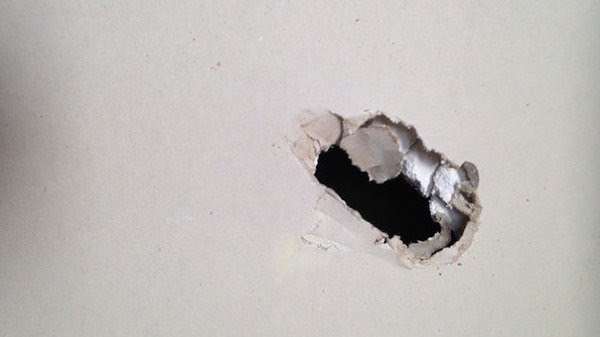 If the hole is bigger say a medium size that would have been caused by a doorknob going through the wall for an example as to what size the medium hole could be. For a medium and above sized hole in the wall, you’ll have to repair it with a little extra elbow grease. A previous article on how to paint the interior of a house provides you with a guide, steps and a list of tools you will need and further tips and advice. After all the holes have been patched, nail pops have been filled, and drywall is repaired you’re ready to get started with the paint job. First you’ll need to start with a good paint primer. After choosing your paint colours, you can follow these 3 tips to buying paint and estimate the cost of the painting before you get started. 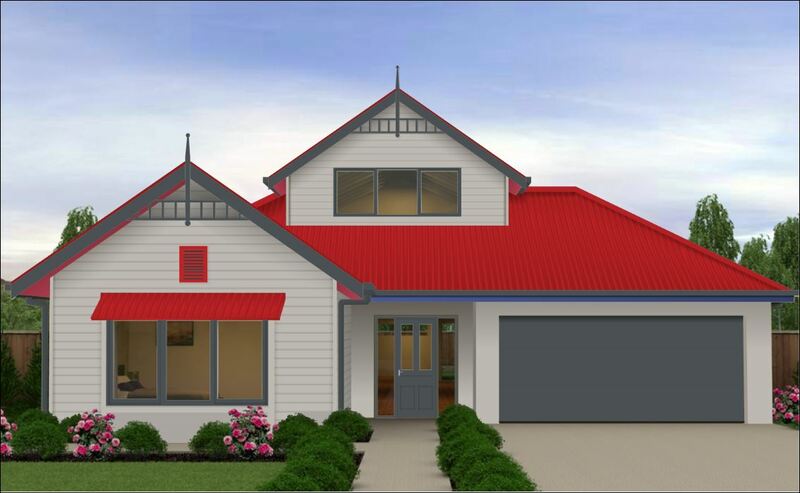 Now all of the above tips are useful and helpful for your DIY projects but if you want to alleviate the pain staking time and effort there’s always the right painting contractor who can provide you a quote or estimate for all the work that needs to be done as well it can make things easier. A professional painter will provide you with a detailed list that includes the costs of all the materials, any and all repairs, and the labour into one painting quote. They can help you with making choices such as how to pick the right paint help you choose the finish or sheen , explain how the natural as well as artificial lighting in the room can affect the final result of the shade of paint colour. Book an appointment for a house painting estimate today and we’ll take care of the rest.